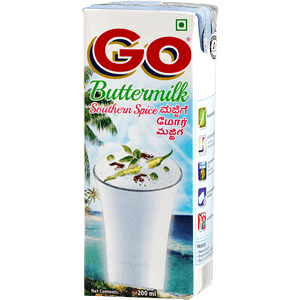 Buttermilk is a traditional thirst quencher. This is ideal replacement for carbonated drinks. Being as a pro biotic, ideal appetizer & aids in digestion & prevents gastric ailments. This is available in two traditional Indian flavours – Masala chaas & Southern Spice.